The people and visitors to Hope Harbor may look like they have it all together, but just like you and me, the underside of the tapestry of their lives are messy and full of knots. 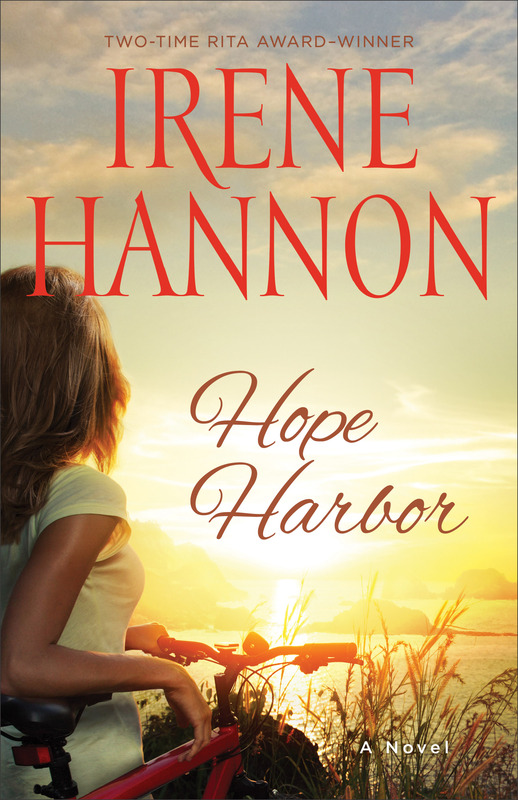 Hannon introduces us to the characters that make Hope Harbor the haven we all seek. She weaves a story of love and redemption that you won’t want to put down. If you don’t have time to get to the beach, allow Hannon to sweep you away to the lovely shores of Hope Harbor—in the midst of your own crazy life, it’s a balm to the soul. Tracy Campbell never wanted to leave Hope Harbor, Oregon, or the idyllic three-generation cranberry farm where she grew up. But life–and love–altered her plans. Now she’s home again–with a floundering farm to run . . . a tragic secret . . . and a wounded heart. Romance is not on her agenda. Nor is it on Michael Hunter’s. The visitor from Chicago has daunting secrets and devastating regrets of his own. But when Tracy recruits him to help with a project that is close to her heart, winds of change begin to sweep through Hope Harbor, bringing healing, hope, and love to countless lives–including their own. Book has been provided courtesy of Baker Publishing Group, and Graf-Martin Communications, Inc. If you’ve never been to Hollyhill before, it’s high time you popped in. Jocie and company are back and things are heating up—and not just because it’s the hottest summer on record. Until Myra and Alex Hearndon and buy a farm, Hollyhill could pretend it didn’t have any problems with racism. Myra Hearndon, the new comer with a chip on her shoulder the size of a boulder, is determined to force Hollyhill into a new era. When men start running around in white sheets and desegregation hits the local school tensions rise and the sleepy southern town has to wake up and make some tough decisions. Ann Gabhart is so good at whetting your appetite from the get go and keeping you in the story, that when you finally look up its 3 AM and the book is almost done. 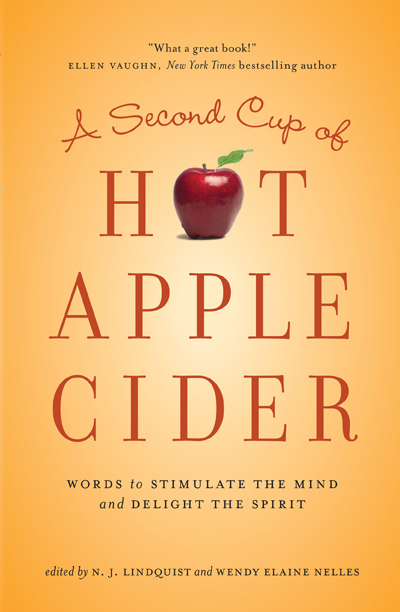 Orchard of Hope is like that tall glass of water in the middle of a drought—you start with a sip and before you know it you’ve gulped it all down. A thoroughly enjoyable read. The smoldering embers of unrest are stirring–and even Jocie’s sweet spirit can’t put them out. It’s already been an eventful summer for Jocie Brooke. Little does she know, things have only just begun to heat up. Drought has gripped the quiet Kentucky town of Hollyhill and it seems as if everyone is waiting–for rain, for a fresh start, for the next step toward the future. Into this tense haze of anticipation comes a new family, aiming to make a better life for themselves by planting an orchard on the outskirts of town. Fresh off the freedom train, Alex and Myra Hearndon are sensitive to what the color of their skin may mean in the segregated South. And even though Jocie quickly befriends the family, suspicion from both sides of the racial divide proves a formidable obstacle. Can Jocie help bridge the gap? Or will life in her quiet community fall apart at the seams? 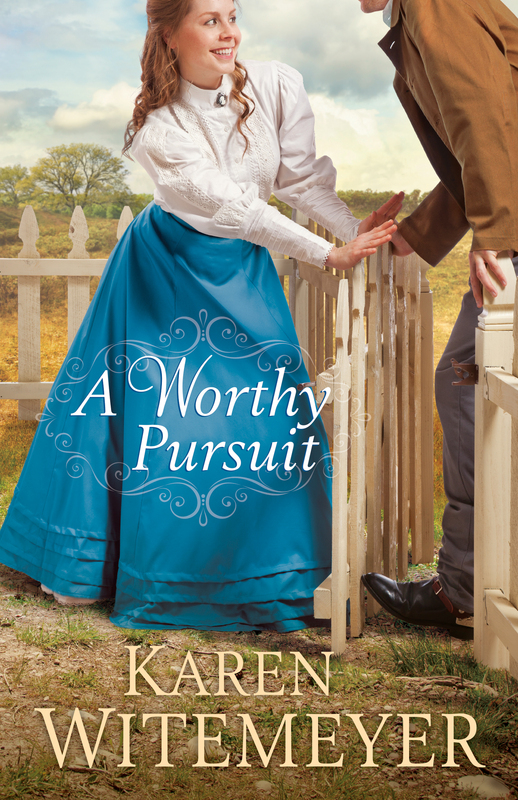 Bestselling author Ann Gabhart invites you back to Hollyhill for a gripping tale of unexpected friendship, forgiveness, and the bright promise of a new beginning. “Book has been provided courtesy of Baker Publishing Group and Graf-Martin Communications, Inc. Available at your favourite bookseller from Revell, a division of Baker Publishing Group”. Mail-order brides and ruggedly handsome cowboys just seem to go hand in hand when it comes to romantic tales of the Wild West, but Melissa Jagears in her debut novel, A Bride for Keeps, puts a fresh spin on an old story. Everett Cline, jilted by one to many brides, has lost faith in the good Lord’s provision. Julia Lockwood has never known a loving earthly father, let alone a Heavenly one. Finagled for him by well-meaning neighbours, Everett is so not interested in this latest mail-order bride. And as for Julia, she steps off the afternoon train like a woman meeting a firing squad. Though this is not exactly the match everyone hoped for, if the unlikely pair give each other a chance they just might be surprised by love. Jagears has a fresh compelling voice and Salt Flatts, Kansas sounds like a place I want to settle in and get to know. I can hardly wait for her next installment! Everett Cline will never humiliate himself by seeking a mail-order bride. Not again. He’s already been jilted by three mail-order brides and figures a wife just isn’t in his future. However, a well-meaning neighbor hasn’t given up on seeing him settled, so she goes behind his back to bring yet another woman to town for him. Julia Lockwood has never been anything more than a pretty pawn for her father or a business acquisition for her former fiance. A mail-order marriage in faraway Kansas is a last resort, but she’ll do anything to leave her life in Massachusetts and the heartbreak she’s experienced there. Although Everett doesn’t see how a beautiful, cultured woman like Julia could be happy sharing his simple life, he could really use a helpmate on his homestead. Determined to prove she’s more than just a pretty face, Julia agrees to a marriage in name only. Faced with the harsh realities of life on the prairie and hesitant to explore the tentative feelings growing between them, can Everett and Julia ever let each other in long enough to fall in love? Touted as the “Long awaited prequel to the Red River of The North Series,” An Untamed Heart may tweak the interest of Snelling fans, but doesn’t really work as a stand-alone story. You can’t fill three quarters of the book with one love story, kill off one of those main characters, and then expect your readers to even care about what happens between Roald and Ingeborg. In retrospect the jacket cover blurb should have clued me in: Most of what happens in the book is summarized in the first sentence. I remember loving Snelling’s Red River of the North series, while this book is full of details that in the end, just don’t amount to a cohesive story. It’s not so much terrible, as just sort of boring. Snelling is obviously still a skilled writer, but it’s difficult for any author to go back and rewrite history. I had to work to get through this novel and the back story did little to add to my memory of Snelling’s amazing Red River of the North series. I’d recommend you stick to her classics. Twenty-year-old Ingeborg Strand is certain she is destined to be an old maid. It’s not that she’s lacked suitors, but now she no longer can have the one she loved. With the future looking bleak, her mother suggests that she leave Norway and start afresh in America, as so many others have done before her. But how will she accomplish that with little money and no one to accompany her? 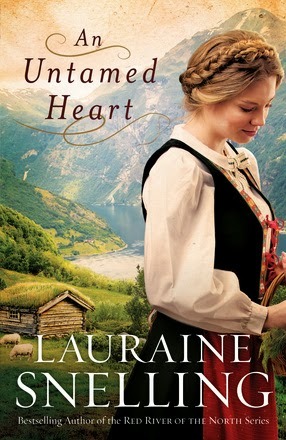 Roald Bjorklund is a widower who has been planning to go to America, lured by the promise of free land. He’s a good man, a hard-working man–with a young son who desperately needs a mother. Ingeborg can tell Roald is interested in her, but what about love? This isn’t how she’s always imagined it. I’m a fiction junky through and through so it takes quite a bit to knock me out of that habit, but Lindsey O’Connor’s The Long Awakening is just such a book. In this personal memoir O’Connor recounts her descent into the darkness of coma after the birth of her daughter. Uterine rupture and subsequent complications suspended her in darkness for 47 days. Then she begins her long ascent out of darkness. Dispelling Hollywood myths of awakening to perfect health, O’Connor offers us the poignant and often brutal truth of regaining muscle and brain function after lying dormant for so long. Yet this is more than a story of personal healing. Love story, drama, and resounding hope will have you weeping and cheering right alongside of the author. An excellent compelling read. Honest, lovely, and inspiring. Buy it. Read it. The day our baby came into the world was the day I left. A day that began all smiles and excitement and anticipation and joy ended with running and panic and blood and tears. And then coma. I lay suspended in the deep, my newborn unknown. Nothingness. Layers where dark pulled from below, light called from above, and me, trapped in between, longing to break the surface. I’m Lindsey O’Connor, and this is the story of my long awakening. Available at your favourite bookseller from Revell, a division of Baker Publishing Group”. Hiring PI James Devlin to find her runaway sister, Laura Griffith knows it’s a race against time to find the young girl. As a blizzard shrouds the Midwest, the teen’s trail disappears into the swirling snow. Someone else is determined to cover her tracks. 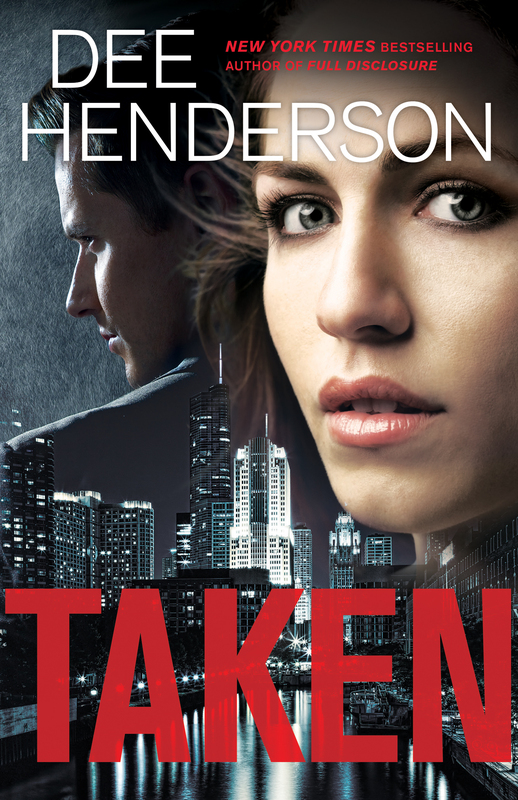 In Hannon’s second installment of her Private Justice Series she ratchets up the tension from the get-go leaving readers biting nails to the quick as the pages turn. 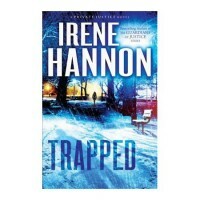 No one disputes Hannon’s ability to write an excellent romantic thriller. However, as Hannon also writes for the inspirational market, too often she is light on the gospel message. Not so in Trapped. Faith and mystery walk hand in hand as Laura’s anchor in God, despite the desperate search for her sister, lights the way for Dev, who’s faith has faltered in the midst of personal loss. Bravo for an excellent read! When librarian Laura Griffth’s sixteen-year-old sister disappears on a frigid February day, leaving only a brief note behind, Laura resolves to do whatever it takes to track down the runaway teen. That includes recruiting ATF agent turned PI James “Dev” Devlin to help—but the deeper he digs, the more he begins to suspect that something sinister is at work in the girl’s disappearance. And the closer he gets to uncovering the truth, the clearer it becomes that the situation isn’t just dangerous—it’s deadly. 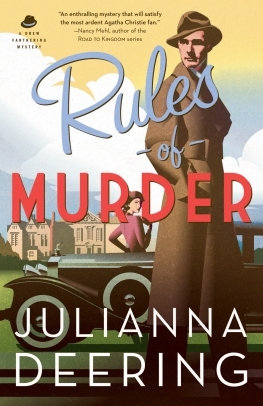 I was excited to read Julianna Deering’s, “Rules of Murder,” because the 1920’s setting seemed like a fresh and fun setting for a mystery. And sure enough, the story paints a vivid picture of the Roaring Twenties in all its glory. Though the period slang feels a tad overdone at times, it seemed to fit amateur detective Drew Farthering’s character. The snappy romantic dialogue between Drew and his love also added some fun to the mix. I also appreciated the pace of Drew’s faith development—it had a genuine ring to it and closed the story with some finesse. Yet, it was difficult to get past those first few chapters. A number of times I had to go back and reread a portion of the story to figure out who the people actually were. Then, when the first dead body is discovered it seems to take would-be-detective, Drew, eons to discover it’s a case of mistaken identity. Of course, all is not what it seems, but by the time the mystery unravels it’s all just so frustrating. When the murderer is finally revealed I had no satisfying “aha”, only a sigh of relief that all the subterfuge was finally over. It is one thing to try and circumvent, “the rules of murder,” but the reader should never feel cheated. Deering broke her contract with me very early on.